For over 50 years, API (Atlantic Pacific Industries) has been a leading manufacturer of exceptionally engineered products, including both functional and decorative cabinetry hardware. In addition to its precise, quality manufacturing, API offers premium distribution services, merchandising support and analytics tools, making it uniquely positioned to help its customers unlike any other manufacturer. As of 2016, we were pleased to launch additional products under the API family of brands. Historically, API’s brand in the market has been AP Hardware, our functional hardware line. Today, AP Hardware is joined by Giuseppe Viennese, our designer line, and Sofia Home, our custom, made-to-order luxury line. 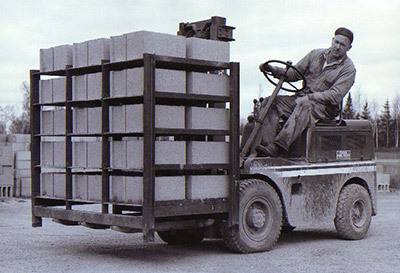 Our grandfather Joseph Wiener founded API in 1967 as an all-purpose hardware distributor. With a focus on establishing personal relationships with our customers and providing them with value, our company soon built up a loyal client base in the Greater Los Angeles region. Under the leadership of the founder Joseph’s daughter, Susan Siegel, and enterprising grandson, Michael Siegel, API has continually broadened its base over the past five decades, ranking among industry leaders in customer service, quality and pricing. Today’s CEO Michael Siegel is dedicated to maintain the original values that grew API — remaining family-owned and operated, provide personalized service to its customers — while innovating with product development, distribution, analytics tools and unique services that provide increased value to API’s customers. We’re very proud to be a third-generation family business that's been stocking shelves with quality decorative and functional hardware in southern California. We look forward to growing with our customers over the next 50 years. "API is a full-service, end-to-end manufacturing partner for independent retailers, showrooms, custom manufacturers and builders. We care and want to help our customers succeed. With our integrated services – manufacturing, distribution and merchandising – we can do just that." 1. We have the deepest selection of functional, decorative and luxury cabinetry hardware. At its core, API is a manufacturer. We engineer precise, high-quality materials across a variety of hardware categories and styles. We provide diagrams and documentation with our product listings, so architects can incorporate into their designs. 2. We have been family-owned for three generations. We believe in relationships and are dedicated to our customers. We know all of our customers. Personally. 3. We provide unmatched availability, customization and personalization. We’re responsive. We pick up the phone. We can answer questions and help troubleshoot. We tailor solutions to our customers needs and lend a hand where it’s most needed. 4. We offer quick shipping through our premium distribution services. We distribute our products directly to retailers. All orders placed by 2pm PT ship the same day. 5. We take service a step further by providing marketing and merchandising expertise. We sell directly to our customers so that we can offer them individualized guidance in merchandising their stores. Our fill rates exceed 95%. 6. We use advanced tools and data analytics to help customers manage their inventories and improve displays. We believe in investing in the future. That includes creating an infrastructure of smart tools, analytics reporting and interactive displays that helps us and our customers better serve their end users. We are based in Los Angeles, California, a city that’s historically rich in design, development and manufacturing know-how. L.A. is part of API’s DNA, and we’re thrilled to see what emerges from our enterprising, evolving and always forward-looking city. We are excited to collaborate with our local design partners.